This the second post from my trip to Italy with my dear friend Anne-sofie. Back home in Copenhagen I was completely run over from having one too many things to solve before the departure and I almost missed my flight in Copenhagen because of that. So the trip was off to a bit of a stressfull start. The good thing about Napoli is the pizzas though. I've never had better pizzas. Seriously. We both had food-orgasms due to the perfect sourdough, stone oven baked crust and the always tasty toppings. A major traveling tip: If you don't use the app Yelp yet, you should go sign up ASAP! We used Yelp through out the whole trip and it was priceless when navigating towards great food experiences. We had luck that the reviews of restaurants in Napoli were mainly written by locals or italiens, which brought us to the best of the best. Probably the reason why we only had amazing pizzas! We flew out late to Rome, stayed for the night and went on a two-hour long train ride from Rome Termini station to Naples early morning. To be honest I don't like Napoli. For different reasons I took close to zero pictures. Bits and pieces of the city are pretty, but the overall atmosphere is very gloomy and sinister. The city has a dark (and interesting and complex) mafia-history and you can sense that constantly. On one hand it motivated me a lot to portray it, but I wasn't in a very courages state of mind. With past experiences I've learned that I shall always respect my limits in terms of risking it for pictures. If I don't feel empowered that day, it's never going to end good if I neglect that feeling. Napoli has a lot of poverty and the crime rate is high. Unfortunately (but not surprisingly) I was robbed just in front of our hotel. It instantly ripped up in the trauma I have from the assault in Brazil and of course it affected the experience we had there - but I haven't actually met anyone that liked Napoli. Robbed or not. After a night in Napoli we were more than ready to head towards our main destination of the trip: Sorrento, the main city on the Amalfi coast. We went by ferry with the company Alilauro directly from Napoli to Sorrento. We found and bought the tickets online and it was by far the fastest and most comfortable option. A general observation is that the infra-structure works really well in Italy and buying entrances or tickets online is very accessible which makes the commute much easier. 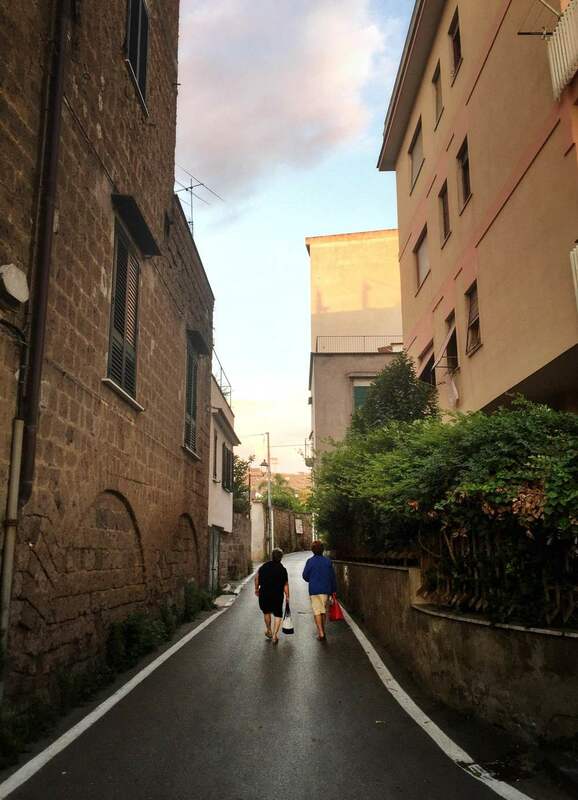 Sorrento is pretty calm and a lovely city. But I would recommend any day to choose a hotel away from the very center to avoid it being too touristic. 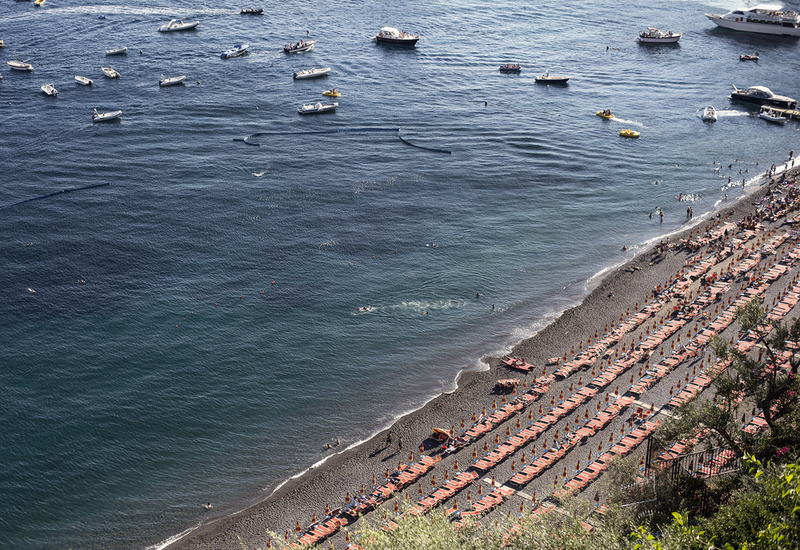 but there's no doubt that Sorrento feels less touristed than for instance Positano. Since I saw the movie Under the Tuscan Sun (2003) that was filmed partly in Positano I've been wanting to see this little old fishing village. So we did. Unfortunately Positano is a bit more touristed than I've expected, but can't blaim. It's a nice little coast city with a small beach, harbor and charming hill-side houses stacked on each other. Almost every photo in this post is taken in Positano and I'll let them stand alone for a bit. I had one of the the best ice cream popsicles I've ever had in Collina Positano Bakery. 80% dark chocolate and nuts covering a soft inner of vanilla ice cream and a dash of raspberry puré. So worth the visit. Anne-Sofie is one of the girls I know that rocks the best style. She always freakin knows what's cool, before everyone else knows. It's impressive and I really have no idea of how she does it. Also she is really talented at what she does (working in the field of design and tech).